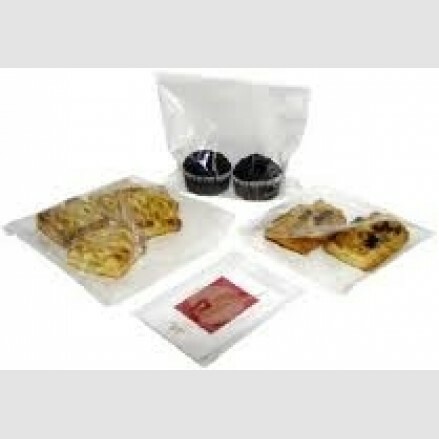 Our film front bags offer enhanced product visibility with a Cristal clear window available in brown or white paper back. 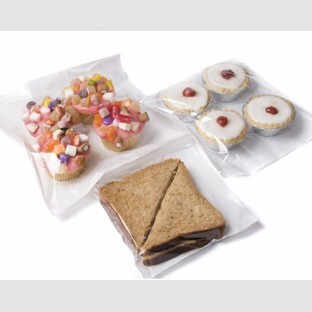 A large range of sizes accommodate all food types from sandwiches and croissants to baguettes and cakes. 1000 per case 150 x 150mm (6 x 6") Technical Information Pr..
1000 per case 175 x 175mm (7 x 7") Technical Information Pr..
1000 per case 175 x 250mm (7 x 10") Technical Information P..
1000 per case 210 x 210mm (81/4 x 81/4") Technical Information ..
Film front bag white 250 x 250mm (10 x 10") 1000 per case Techn..
1000 per case 250 x 400mm (10 x 16") Technical Information ..
1000 per case 300 x 450mm (12" x 18") Technical Information ..
1000 per case 100 x 150 x 350mm (4 x 6 x 14") Technical Informat..
1000 per case 175 x 175mm (7 x 7") Technical Information Prod..
1000 per case 210 x 210mm (81/4 x 81/4") Technical Informa..
1000 per case 250 x 250mm (10x10") Technical Information Pr..
1000 per case 100 x 150 x 350mm (4 x 6 x 14") Biodegradable Technical I..